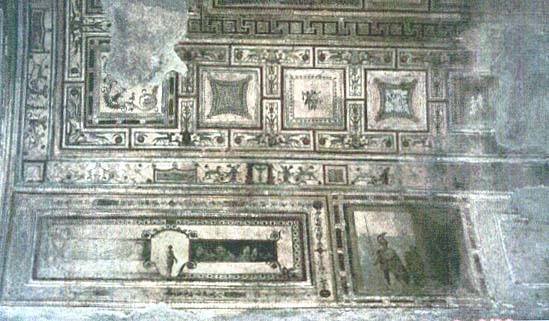 Despite the modest appearance of the modern ruins, the octagon room was the most exquisitely decorated room in the Esquiline Wing at the time of Nero. The vaults of the smaller rooms would have been painted with relief stucco and frescoes. The dome of the octagonal rotunda was covered with glass mosaics. Fragments of this glass have been found on the floor of this room. It is believed that these mosaics depicted the stars and planets, and that the entire scene could be rotated mechanically, so as to imitate the movement of the heavens. Nero, who was known to be a great enthusiast of Greek art, kept a copy of the statue of the Dying Gaul in the main hall of the Octagonal Suite. It is also likely that this room was used to host dining parties, as well. 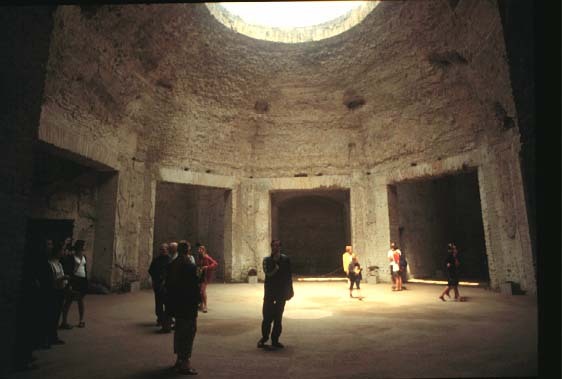 The Octagonal Suite was truly the heart of luxury at the Domus Aurea. Perhaps the most architecturally interesting collection of rooms in the Esquiline Wing is the Octagon Suite. 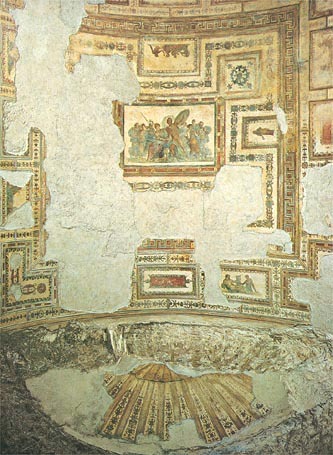 Unlike other parts of the Domus Aurea that survive today, the Octagon Suite was largely untouched by Trajan's remodeling efforts. The suite consists of a central octagonal space that opens to five distinct chambers. An oculus in the dome of the central chamber baths the octagonal chamber in sunlight. To the west of the Octagon Suite is the Hall of Achilles on Skyros. The ceiling depicts Achilles with shield and spear in hand, surrounded by the daughters of Lycomedes', the ruler of Skyros. In this scene Achilles, who had been in hiding and disguised as a girl, has just revealed his true identity to Odysseus. At the north face of the room, the remnants of a tile arch can still be seen. Below the arch is the conch, so named for its resemblance to a shell. On the opposing side of the Octagon Suite is the Hall of Hector and Andromache. Those familiar with the Trojan War will remember that Hector, the great hero of Troy, was killed by Achilles and dragged around the walls of the city. 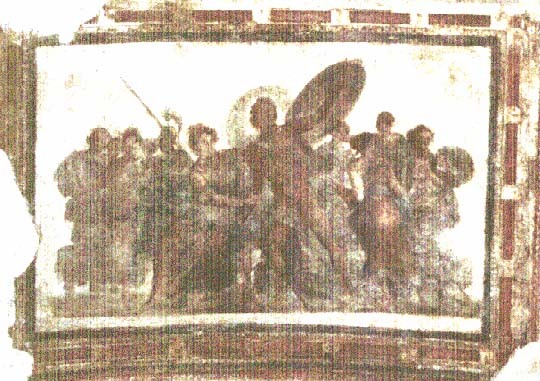 The ceiling of the hall was decorated with illustrations depicting Homer's Iliad. It is interesting to note the symmetry created by the Hall of Achilles and the Hall of Hector: rooms dedicated to the two opposing heroes frame the great Octagon Suite.